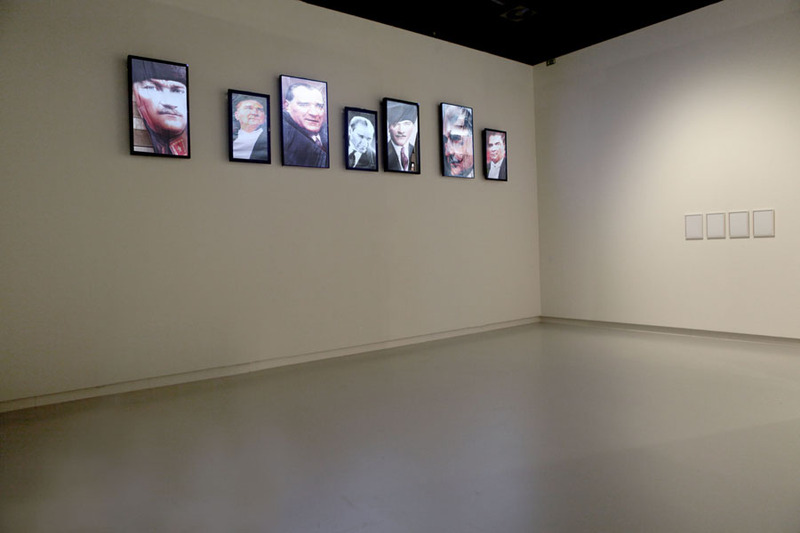 Each video shows a portrait of Mustafa Kemal Atatürk. The flatscreens are hung high above eye level. The original images are monumental flags hanging in front of five storey buildings for a national holiday. From time to time the wind starts to move the flag and animates the image. The facial expression changes from sometimes stirn to sometimes amused with an ironical smile. 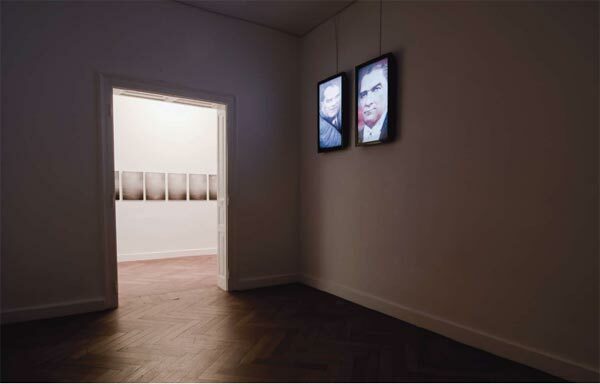 Atatürk (compilation) from Sophia Pompéry on Vimeo.